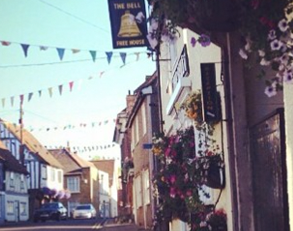 We are nestled in the lovely historic village of Horndon on the Hill in Essex. We might be biased, but we think we can offer a perfect getaway, whether it’s to relax by the fire or take in the grounds at High House. 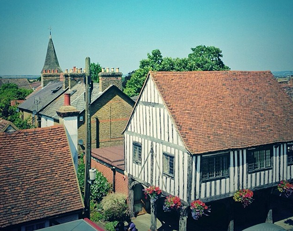 We have so much on our doorstep and the bustle of London is only 35 minutes away by train. Cycling in Essex – We have an number of wonderful places on the doorstep or further afield for the serious cyclists or a peaceful meander on a cycling trail, and what’s better after a day’s cycling to come back to a welcoming, character-filled place. Golf – We have well over a dozen courses within a 20 min drive of the Bell. Orsett Golf Club is one of our favourites. 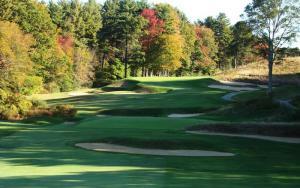 Less than 5 mins drive, it is over 100 years old and hosts Open championship qualifiers. It’s a private course but guests can book tee times. Talk to a member of staff for more info on other courses. 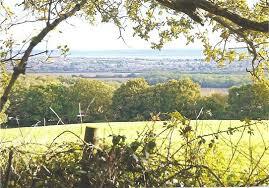 Local Walking Trails & Runs – We have some beautiful local walks that take in some surprisingly varied countryside. Joseph Conrad said it was one of the ‘dark places of the Earth’ but we think he was just a grumpy old man. 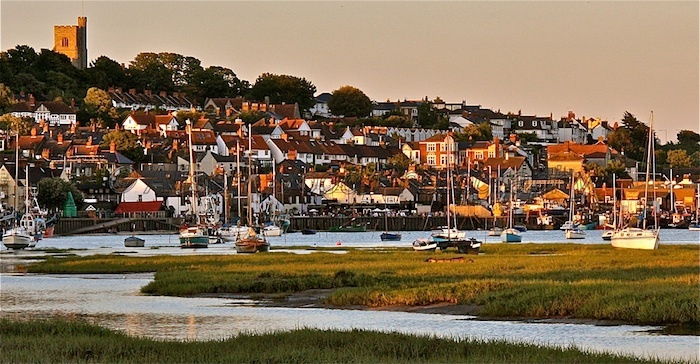 Decide for yourself by taking a stroll through the woods up in Laindon hills (less than a 5 minute drive away) or walk along the sea wall at Stanford le Hope (also no more than a 5 minute drive) and look out across the estuary towards Kent. Thames Estuary Path has a 29 mile walking route, don’t worry its also divided up station by station to take a short walk (and the app is good too.) Or pump up the heart rate with a Park Run 5k – every Saturday at 9am there is a 5k run in conjunction with Park Run at Orsett Heath (about 4.2 miles away…or a 10 minute drive.) Elin, our resident international class marathon runner (and now avid cyclist), is better placed than most to give advice on local scenic rides and runs, and she will be happy to give you a few pointers although we suggest you set a more sedate pace than she does. 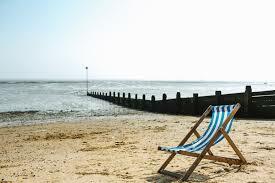 Beaches, cafes & vineyards & microbreweries – Leigh on sea, Southend On Sea* and Mersea Island are all nearby. 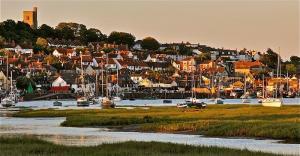 Although not known for their golden sands they all have something to offer whether it be a little cafe under the arches, or a chance to try cockles or oysters, antiques shops or a walk along the coastline. At Mersea Island guests like The Company Shed for oysters, rollmops & prawns (be warned it is a shack/shed on the shores of a muddy creek) and whilst on Mersea why not visit the Mersea Island Vineyard, in the adjacent microbrewery you can pick up some ales, including a traditional stout made with oysters! 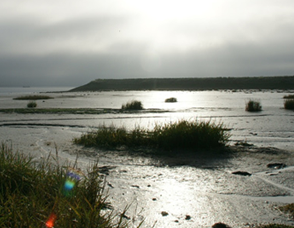 We like what Joanne O’connor writing in The Guardian some years ago said, ‘It occurs to me that if Mersea were near Brighton, or Whitstable, as opposed to the deeply uncool Clacton-on-Sea, it would be completely overrun with tourists, impossibly twee and probably very annoying. But it’s not. And I’m glad.’…so are we. *Southend is one of the warmest and driest places in the UK!!! With the train station at Stanford-le-hope a 20 minute brisk walk or Laindon station a short drive away, there are plenty of days outs or things to do. C2C our local trainline offers more suggestions. The village park is walking or scootering distance away with swings and even a small flying fox. On a sunny weekend you might catch a local cricket match on the pretty ground – Horndon CC. “A Gruffalo? 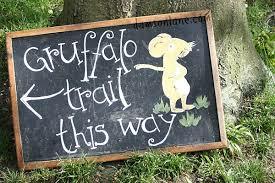 What’s a gruffalo?’ – Discover the magic of the Deep Dark Wood with this self-led trail searching for the hand-crafted carvings of Gruffalo characters at Thorndon Park Gruffalo Trail. Thurrock Thameside Nature Park : A stunning and innovative visitor centre, with superb views over Mucking Flats and the Thames Estuary. Footpaths and cycle ways in 120 acres of nature park, which will expand to 845 acres. Great birdwatching – and ship watching. Ice creams, buckets & spades, crabbing or toe dipping you’ll find all that on a trip to Leigh On Sea, Southend On Sea or at Mersea Island . Well House Gallery – a family-run art gallery in the village. The gallery provides a place to enjoy fine and contemporary art, to browse, to be inspired, and to buy pieces that you connect with, as well as championing local artists. Olympic Park (Queen Elizabeth Olympic Park) -We are 35 minutes from the Olympic park at Stratford by train or 40 minutes by car.